A bursar of the Akure Anglican Diocese in Ondo State has been shot dead. 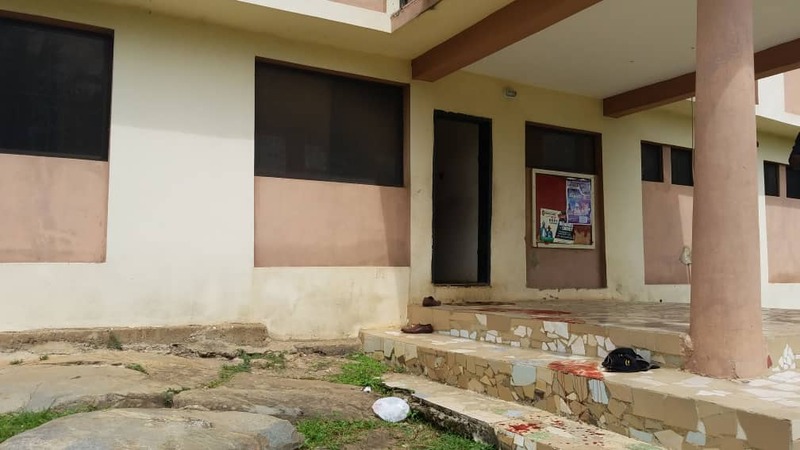 The bursar, who has been identified as Gabriel Kola Abiodun, was killed on Thursday by gunmen suspected to be ‘armed robbers’ who were said to have followed him after leaving the banking premises. According to an eyewitness, who was at the scene of the incident, Abiodun was trailed down from the bank by three men armed with guns, to the church where they rained bullets on him. “The man (bursar) had just returned from one of the new generation banks to withdraw some fund which we learn was probably meant for retirees. “It was that money which is about N500,000 that the three gunmen trailed him down with, to the church diocese and he was shot in the tigh. “I think the armed robbers struggled the money with him, collected it and before they ran from the premises. “By the time we would come out of the building, there is already blood stains everywhere on the floor,” he said. A source in the diocese confirmed the attack on the bursar, noting that the church authority has invited police to the scene for investigations. “It is true, the man in charge of the church’s finance was shot dead this morning (Thursday) around 9:30 am inside the premises of the diocese. “The church have invited the police to the premises and his they have taken his corpse away. It was just a sad incident for us this morning,” he said. Also, the spokesman of the Ondo Police Command, Femi Joseph, who confirmed the incident, said, “yes, it is true the man was shot but we are now investigating the case and his body has been evacuated”.